Your list of things to see and do now includes Instituto Tomie Ohtake, Museu Do Futebol, Mercado Municipal de São Paulo, and other attractions. 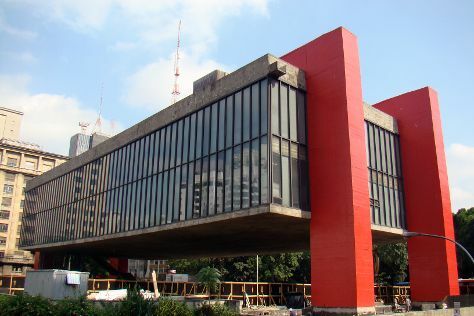 Get a sense of the local culture at Museu de Arte de Sao Paulo Assis Chateaubriand - MASP and Museu do Som e Imagem - MIS. There's still lots to do: explore the world behind art at Pinacoteca do Estado de Sao Paulo and contemplate in the serene atmosphere at Mosteiro De Sao Bento. For reviews, where to stay, maps, and other tourist information, use the Sao Paulo online attractions planner . In April, plan for daily highs up to 30°C, and evening lows to 20°C. Wrap up your sightseeing on the 21st (Sun) early enough to travel back home.